Bilbao (Spain) will host one of the largest European Events in Nanoscience & Nanotechnology from 11th until 14th of April 2011 at BEC (Bilbao Exhibition Centre). 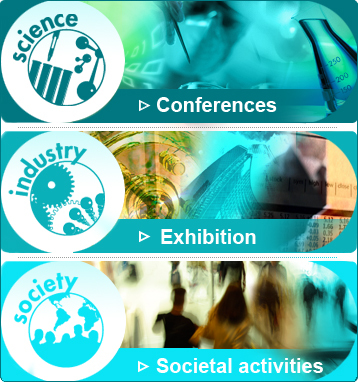 Extensive thematic conferences will be held in parallel and a huge industrial exhibition carried out with the latest nanotrends for the future. For the first time, ImagineNano will comprise in 15.000 m2 several conferences in parallel, a huge exhibition and a Social component where everyone can meet and greet Nanotechnology side by side. ImagineNano will therefore gather global nanotechnology community, including researchers, industry policymakers, investors and plans to be a reference in Europe in the next upcoming years. Theres no doubt that ImagineNano is the right place to see and be seen. Helena Varela (GRAnPH Nanotech/Grupo Antolin/Univ.